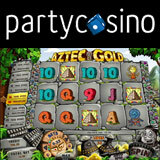 Get 20 free spins on the Aztec Gold slot machine in the latest PartyCasino Summer Fiesta promotion. To qualify simply make a deposit of at least $10 on Tuesdays, Thursdays or Saturdays each week to claim your Aztec Gold online slot spins. 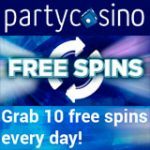 Claim twenty free spins on every promo day until the end of July 2016, adding up to total of 60 spins per week. 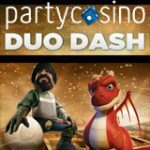 New players can signup for a $100 welcome bonus on their first deposit, there are also weekly PartyCasino reload bonuses. As part of the Summer Fiesta promotion, players can claim their twenty free spins on the Party Casino Aztec Gold game. Deposit at least $10 on any Tuesday, Thursday or Saturday in July 2016. 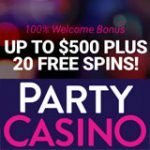 Use PartyCasino bonus code SUMMERFIESTA when making a deposit to claim this offer! Claim your 20 free spins by depositing with the code on every promotional day in July. The bonus will be available to those who see the promotion in the bonus section of their account. 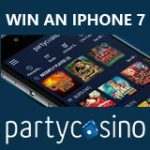 New to PartyCasino? if you are you'll be eligible to double your first deposit amount with a welcome bonus up to $100. Deposit $100 and get $200 to play your favourite online casino games. 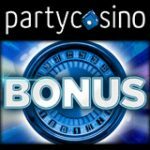 Exsisting players are still eligible for a PartyCasino reload bonus after they have made a first deposit and cleared their welcome bonus. 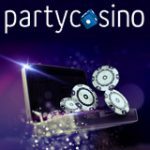 Deposit at PartyCasino on any Monday or Friday, you'll find the information in your account under MyAccount->Specialoffers->Mycurrentbonuses. Click on the bonus titled MONDAY or FRIDAY to get your personal PartyCasino reload bonus code.